The new AnyMOD from Anyvape is a device with big promises to fill. 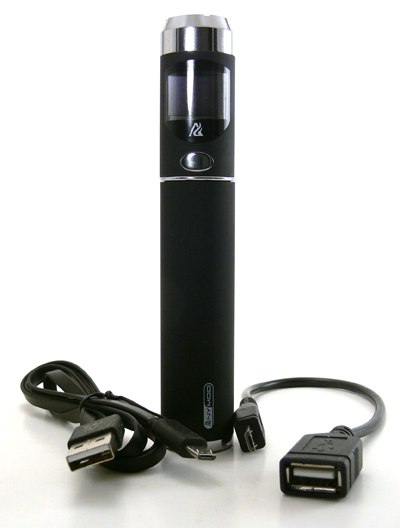 Variable voltage, variable wattage and unregulated voltage, all with a 6 volt and 18 watt limit, are a lot to offer. Add USB charging and USB power output and this device is seeking to be a lot of things in a single package. I couldn’t resist buying one the day that I saw them at Viper Vape. So, does it deliver? Absolutely, but not without a couple of quirks. The overall design of the AnyMOD is nothing ground breaking, but it is attractive and well executed. The body is coated in a slightly rubberized texture and is available in a variety of colors. Top and bottom caps are finished in a polished chrome, as is the single button and a center band. The overall appearance is one of understated elegance. The vented bottom cap unscrews for battery removal and the bottom tube unscrews from the head assembly. The top ring also unscrews to expose eGo threaded connector set in a nice drip well. The top ring is well designed and has a wide enough opening for any of the eGo style toppers I tried. Everything screws together easily and smoothly. The AnyMOD is on the beefier side for an 18650 tube mod, but the weight really serves to give the impression of a good solid mod. I am actually pleasantly surprised at the feel of this APV. Some of the photos I’ve seen remind me of some of the cheaper mods out there, but the AnyMOD has a quality feel. Built into the control head is a great looking display that reads atomizer resistance, battery percentage and output setting. It’s a nice bright, easy to read display similar to that of the eVic, although missing the battery voltage reading. Menu functions are also easy to read in the display, and we’ll get to those in a moment. On either side of that display are two USB ports that are one of the great features of this device. On the left is port marked I for charging the device, while on the right is a O that allows you to charge other devices from the AnyMOD. The device cannot be used as a passthrough while charging. Cords for both input and output are included. As with any single button mod, the design of the menu and user interface are of great importance and it is here that the AnyMOD loses some pionts. It appears that the designers had some big ideas for improving the one button interface that just don’t work that well in practice. Add to that the fact that even the typical poorly translated manual is not included and things can get frustrating. Here is a brief guide to the menu system. The idea behind the click sequence is simple and seemingly intelligent. 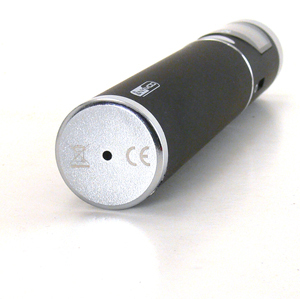 Two clicks allow you to set the voltage or wattage, and holding down the button will scroll upwards in .5 watt increments, looping around to 3.0 watts after reaching the maximum of 18. Three clicks activate the menu system and from there one click scrolls through the options and two clicks access a function or choose an option. 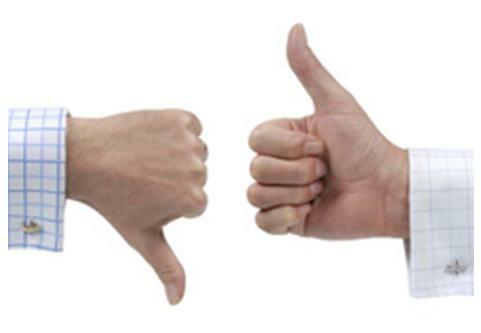 Three clicks get you back to vaping. It’s actually a very easy to use system once you grow accustomed to it, and it eliminates the waiting for a setting that occurs with APVs like the ZMAX. One major irritation about the system results from the flush mount button. I like the look and feel of the button, but it’s just way too easy to accidentally double click, which enters the voltage/wattage adjustment mode. 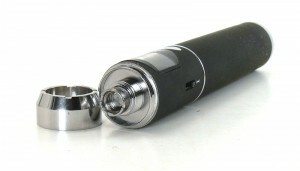 Continuing to press the button as you would normally do while vaping results in increasing the voltage or power. I have found myself accidentally at 17 watts several times in the past day or so. Slightly less irritating is the sequence needed to turn the mod on and off, although this is really more of a disappointment in the advertised specs. According to the ads and the menu instructions, 5 clicks should turn the device on and off. In reality, when the unit is off, 5 clicks turns it on, but then you need to wait a second or two for the logo to display and then for the menu to come up. 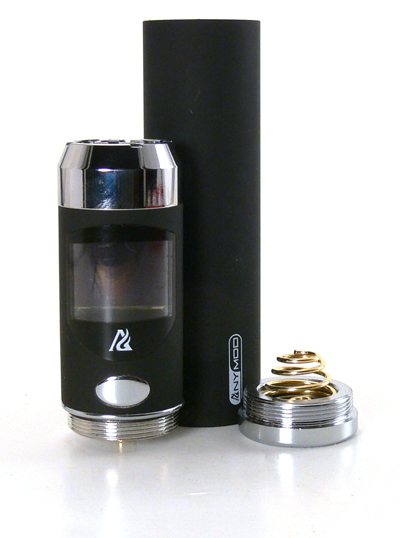 After that, Power on is highlighted and 2 quick presses actually get the device into vaping mode. Alternatively, 3 clicks will exit the menu system and achieve the same thing. Turning the AnyMOD off is slightly quicker – 3 clicks to enter the menu, 1 to highlight Power off and then 2 to select it. It’s actually doesn’t take any longer than turning on a ZMAX, so I guess I’m nit-picking, but I was really hoping for a 5 click on/off similar to the 3-clicks of an eGo. Altogether, the menu system may not be perfect, but it’s a darn good attempt at taking a different approach with a single button system. Other devices use 3 to 5 click to enter the menu, single click to highlight a selection and then a few second wait to select that item. The double and triple click system eliminates that wait. I’d love to see an actual 5 click turn off, but beyond that the implementation is pretty usable. No apologies needed here. The AnyMOD performs wonderfully and has a great power output range. I was easily able to get 4.6 volts of output with a 1.7 ohm cartomizer attached, quite a bit more than I would typically vape. My normal setting of 10 watts feels just as it should, which is to say equal to the ZMAX or Provari that normally get the nod. In variable volt setting, the voltage is right on the money. I haven’t used the unregulated output that much, but it was more than happy to fire up a 1.2 ohm topper. Interestingly, it would also fire the 1.2 ohm in VW mode, but automatically decreased the wattage to about 8 watts, meaning that it was probably giving me a fairly accurate readout rather than staying at 10 but delivering 8. One oddity in the firing the AnyMOD is that there is a two second lag when the button is pressed. Not only does the cartomizer not fire, but the puff timer on the display doesn’t appear either. Speaking of the puff timer, it’s another good idea that’s nearly useless. The problem is that you really can’t see the timer while using the device and it disappears as soon as you leave off the button. So you can’t see it unless you remember to keep holding the button until you can look at it. There is also a somewhat quirky behavior when changing toppers. Increasing resistance seems to prompt an increase in power while a decrease in resistance reduces the power. For example, with the device set at 12 watts with a 2.0 ohm carto, changing to a 2.7 ohm carto prompts an increase to 15.5 watts. Changing back to 2.0 ohm brings it back down to 12 watts. The whole point of variable wattage is that 12 watts is 12 watts no matter what the resistance, so I’m at a total loss as to why anyone would have thought this was a good idea. On the other hand, attaching a low resistance carto activates the Model menu item with MOD highlighted, essentially prompting you to use unregulated voltage with a lower resistance topper. That’s a good idea, automatically changing the power is not. The final factor that we haven’t discussed yet is price. 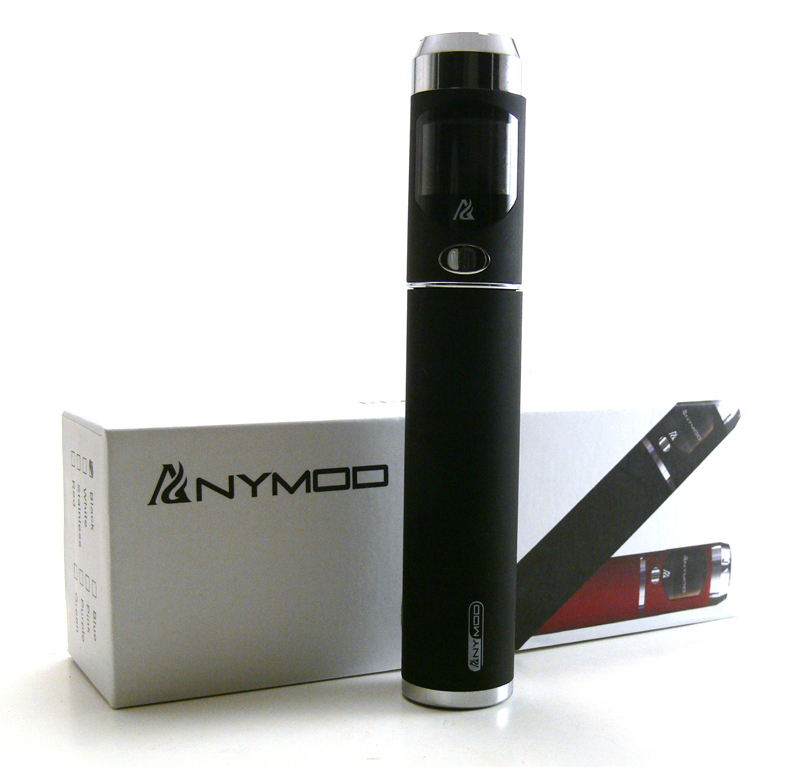 At $75 for the kit including the battery, the AnyMOD is a pretty good deal. Other devices cost a little less, but by the time a battery and charger is added, many are right in the same range. As I mentioned before, I really expected lower quality and performance at the price. The AnyMOD was indeed a pleasant surprise, even with a few quirks. The Anyvape AnyMOD tested above was purchased from Viper Vape. – The flush-mount button is (as you stated) aesthetically pleasing, but is virtually impossible to locate by feel – making it difficult to vape in the dark or in other situations where you have to look at the device before using. – The perfectly cylindrical shape has nothing to prevent it from rolling (off the desk) when laid on its side. – There doesn’t seem to be an option to turn off the screen (or to adjust its brightness). I personally don’t like to advertise every time I take a drag with the bright light of the screen. – There is an auto-off feature that can’t be disabled. After some amount of time, the 5+2 click sequence is required to turn the unit back on before being able to use. Despite all of that, my overall impression is very good, and it’s my favorite PV so far. It also seems to vape quieter than other VV/VW mods that I own. Thanks for taking the time to reply, John. All of your comments are right on the money. Particularly the auto off feature is annoying to me. It wouldn’t bee so bad if there was a simple 3-click or 5-click turn-on, but I pretty much have to look at the screen to get it turned on again.